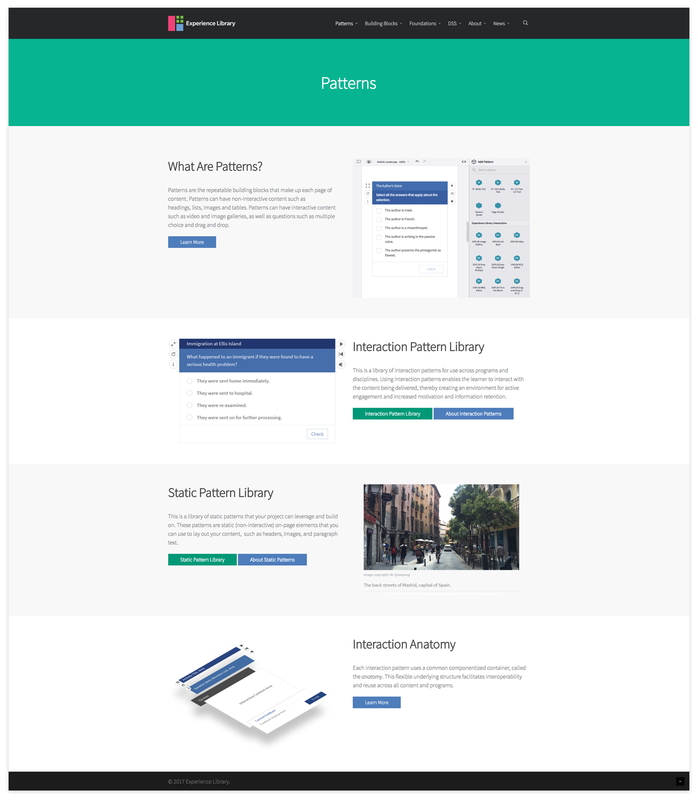 Through the Design Studio Standards project we had developed consistency within our static page elements, but separate development teams were still creating different solutions to similar interactive content requirements. We needed to extend the same standards principles to interactive content so that all aspects of page design were considered. To work with our Learning Architect colleagues to develop best practice learning outcomes and user experience for interactions. These would be built-in to a suite of commonly used interaction types that could be used across any program. This became the Experience Library. Lead Designer working within a cross-discipline team of designers, engineers, learning architects, business analysts and QA. A global content, UX, and technical development kit that all project teams use to create quality, responsive, and interoperable content.